Mechanical strain relief techniques for estimating the magnitude of residual stress work by measuring strains or displacements when part of the component is machined away. The underlying assumption is that such strain or displacement changes result from elastic unloading. Unfortunately, in components containing high levels of residual stress, elastic-plastic unloading may well occur, particularly when the residual stresses are highly triaxial. This paper examines the performance of one mechanical strain relief technique particularly suitable for large section components, the deep hole drilling (DHD) technique. The magnitude of error is calculated for different magnitudes of residual stress and can be substantial for residual stress states close to yield. A modification to the technique is described to allow large magnitudes of residual stress to be measured correctly. The new technique is validated using the case of a quenched cylinder where use of the standard DHD technique leads to unacceptable error. The measured residual stresses using the new technique are compared with the results obtained using the neutron diffraction technique and are shown to be in excellent agreement. The work described here was a result of a joint project with the University of Oxford and was sponsored by EPSRC under grant number GR/T10558/01. The neutron diffraction work was supported by Dr E Oliver at ISIS. Prof Smith acknowledges the support of a Royal Society Wolfson Merit award. 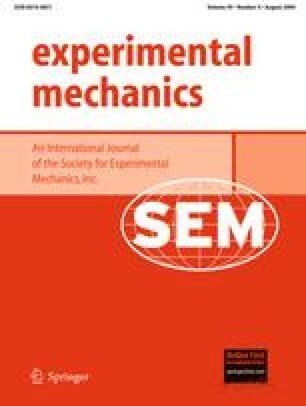 Kingston EJ, Stefanescu D, Mahmoudi AH, Truman CE, Smith DJ (2006) Novel applications of the deep-hole drilling technique for measuring through-thickness residual stress distributions. J ASTM International 3(4). doi: 10.1520/JAI12568.